There is music inside all of us, especially children! That's how God created them, and so making music comes naturally to them. Teaching children to make their own music on a keyboard (and to find joy in it) is what Music in Me is all about. Each book in this unique series is designed to help them understand both musical and Biblical concepts at the same time. Early exposure to music theory - especially harmony and ear training - plus an understanding of how music works will provide today's children with a strong foundation for becoming tomorrow's church musicians. 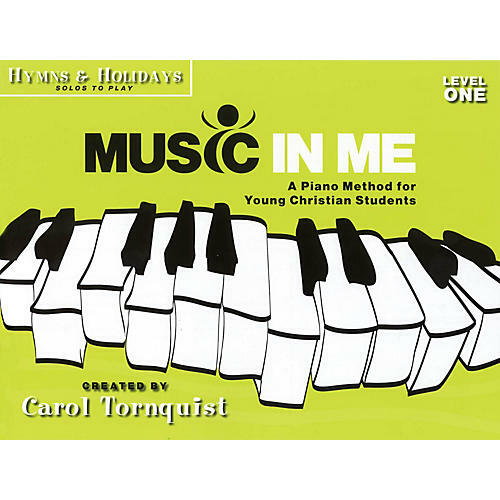 Music in Me includes five levels, and each level includes five coordinating student books: Lesson (Reading Music); Theory & Technique (Understanding Music); Creativity (Writing Your Own Music); Praise & Worship (Solos to Play); and Hymns & Holidays (Solos to Play).